Happy Presidents Day! To celebrate, Rands Auto lowered the prices on over 70 CARS! 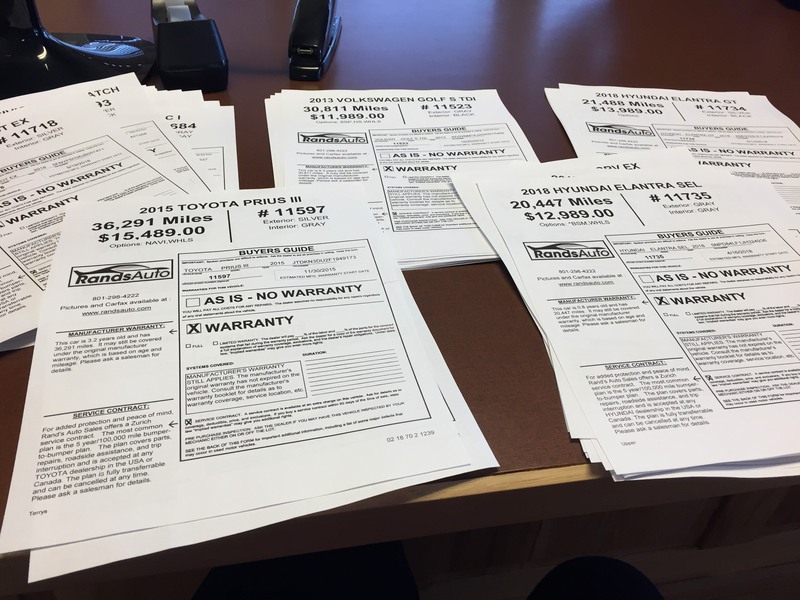 Yup, you read this right- $$$ was taken off over 70 cars! Come check out our inventory today! Volkswagen TDIs are the best deal this year. After two years, they have completed their TDI recall. These cars are warrantied an additional 60,000 miles for emissions as part of the recall. Once they are gone, they will be gone forever. Prices are about $8000 lower than they were three years ago. Volkswagen will continue to provide parts for many years to come since they sell TDIs worldwide.